Congratulations to the Elastic Pitch Winners! We build novel software applications for the cochlear implant device — allowing deaf patients to enjoy music and to individually calibrate their device for personally optimized speech and music perception. Ice cream is personal. We know this better than anyone else. That is exactly why we created our bowl of organic and kosher Dolce Friot, because we know everyone prefers ice cream in their own individual and original way. It is more than ice cream, it is a sweet confession. TUG-A-WAR!!!! Brown, RISD, Bryant, JWU are competing this Saturday 2:00-3:30 PM. There will be food, incredible people, and $2,000 at stake! The ideas are fantastic – come listen, come learn! Bring your parents, your friends, your family! The Hunger Games has come to Brown University! 4 teams, 4 challenges, all with one goal: to solve a problem through innovation. We have scoured campus to find the 24 best candidates to compete on November 10th to be crowned the ultimate Hunger Games Champion. The Brown University Entrepreneurship Program is proud to announce the following tributes: Afia Kwakwa Anthony White Ayanda Collins Ben Vischny Cliff Weitzman Dan Zhang Daniela Gilsanz Elaine Zhao Ethan Richman Evan Schwartz Gabriel Filsinger George Steele Gladys Ndagira Jennifer Morgan Jeremiah Ode Katherine Wu Laurence Wattrus Mengjie Wang Ning Ou Ryan Mather Ryan Murphy Sophie Purdom Varun Kuchibhatla Vivian Phung! Congratulations to the winners of the 15th Annual Startup Competition! Derek Scheuren, Co-Founder at Recommind Inc.
Richard Katzman, CEO at Kaz Inc.
Jason Donahue, VP Brand Management at Zeo Inc.
You’re Invited: 15th Annual 50K Startup Competition! We are proud to announce that our largest event of the year, the Annual Startup Competition. Student teams have been working diligently to complete their business plans and pitch presentations. The competition will feature non-profit and commercial ventures alike, and teams will be competing for prizes totaling $50K in cash and in-kind services. We would be honored to have you attend this phenomenal event, which is sure to be a close race. 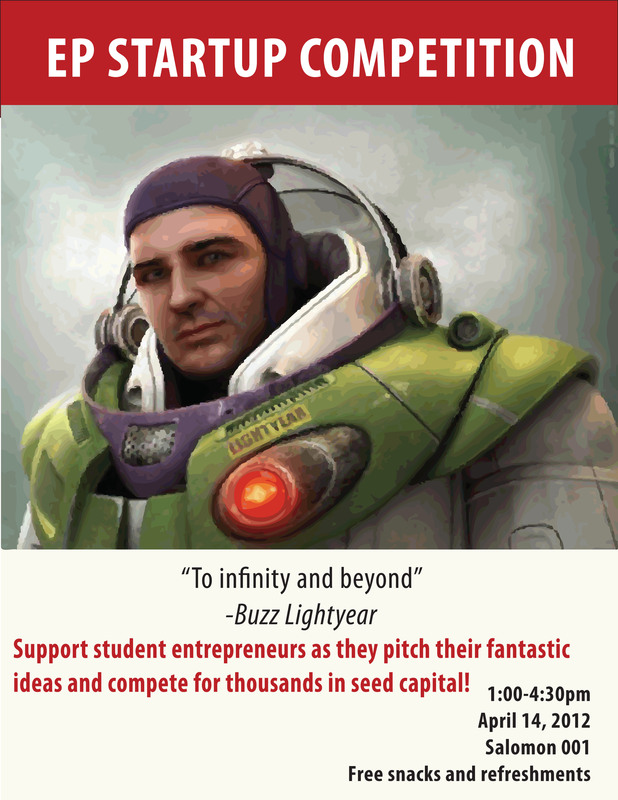 Join us in showcasing and accelerating some of the brightest young minds at Brown! 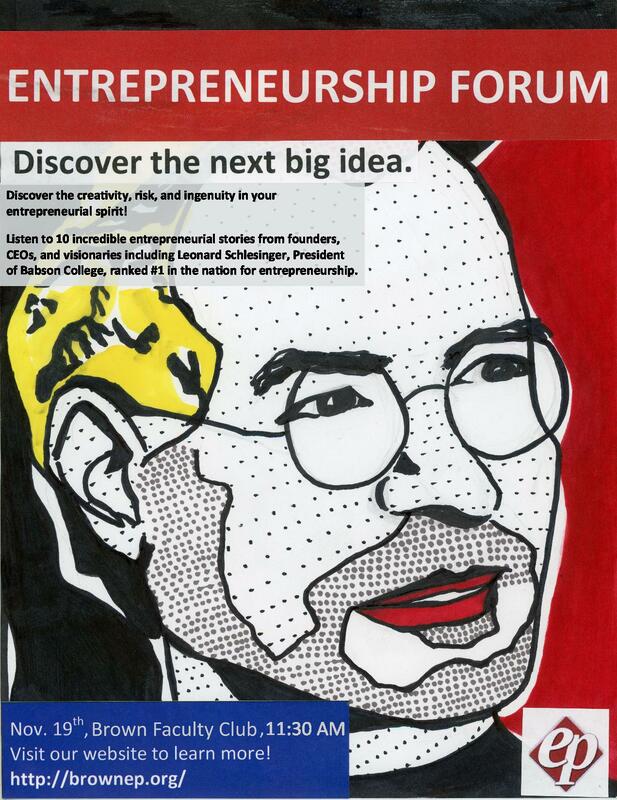 You’re Invited to the 15th Annual Entrepreneurship Program Forum! Sharing and Inspiring Entrepreneurial Stories since 1997! Enter your email address to receive blog updates on EP events, new student ventures, and entrepreneurship at Brown University! EP's efforts to support student ventures and nurture Brown's entrepreneurial community would be impossible without your generous support. Please click here to learn how to donate!